Home Lifestyle Culture HANABI: Light up the sky! Traditionally, the root of fireworks display is attributed to the 1733 Ryōgoku Kawabiraki Hanabi (両国川開き花火; Ryōgoku River Opening Fireworks), commissioned by Tokugawa Yoshimune to pray for bountiful harvest and get rid of epidemics that killed many people the year before. Taken literally, hanabi means “flower” and “fire” ー a flower expressed with fire. 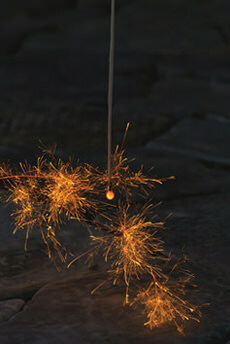 Uchiage hanabi or “launching fireworks” is suitable for huge, outdoor displays during festivals. Each firework comprises of a shell (玉; tama) packed with gunpowder (星; hoshi), and is launched into the sky using cannons. Precise calculations ensure that the tama will explode at the right height, enabling the hoshi to radiate in the desired directions. 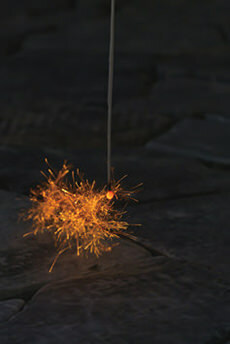 Omocha hanabi or “toy fireworks” come in various styles, with the most popular being senko hanabi (線香花火; sparklers). 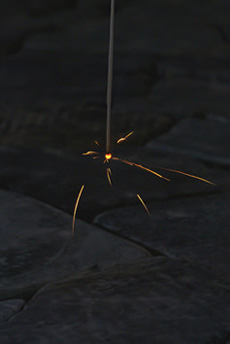 Amazingly, one can find traces of wabi-sabi in the way a sparkler burns, as each stage is akin to a different flower. The transient beauty embodied in the sparklers parallel our lives, with lessons drawn from each stage. A deeper look at the exquisite Hanahana sparklers by Tsutsui Tokimasa Toy Fireworks Factory (筒井時正玩具花火製造所) shows the time and effort put into creating these high quality sparklers made from natural, local materials. 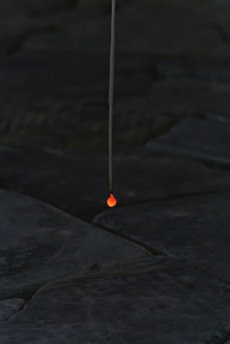 The ignited fireball grows into a (flower) "bud" by breathing in the oxygen. deliberate upon their choices in life. the life that is nearing its end. The two oldest producers of Japanese fireworks are 340 years old Kagiya (鍵屋) and its spin-off, Tamaya (玉屋). Over the years, both brands have tried to outdo one another with their magnificent displays. 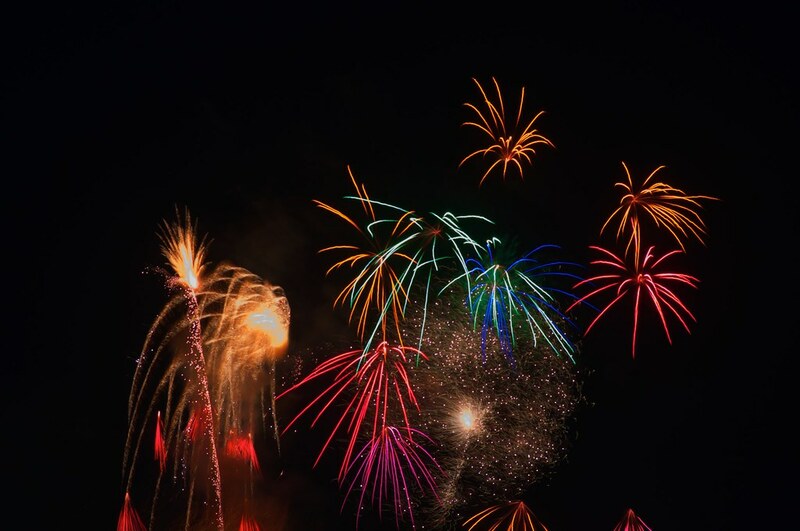 This competitive element continues to today, especially during the Sumida River Fireworks Display (隅田川花火大会), which evolved from the previously mentioned Ryōgoku River Opening Fireworks. Reserve your spot with a blue plastic mat indicating your name. 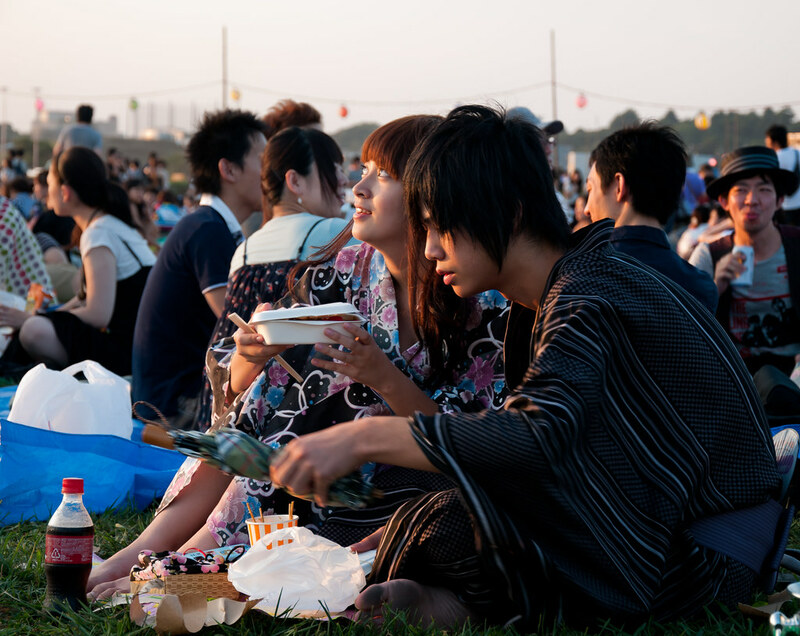 Be like the locals and come dressed in a yukata (female) or jinbei! Shout resulting in shouts of “Tamaya” and “Kagiya”, a custom stemmed from long ago! Brings lots of sparklers for the after party! OR if you don’t wish to join the crowd, here are some alternatives! 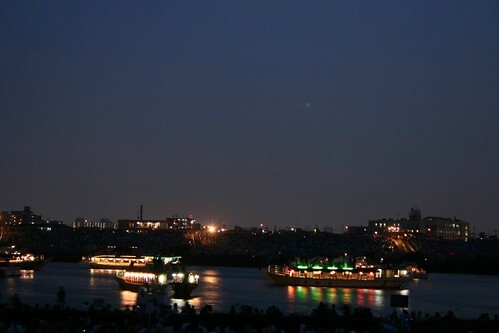 Book a dinner on board a traditional “pleasure boat” (屋形船; yakatabune), with reservations at least a year in advance! Enjoy the fireworks display in an expensive restaurant in the Asakusa area, where there are no high-rise buildings in order to preserve the view of the Asakusa Temple. 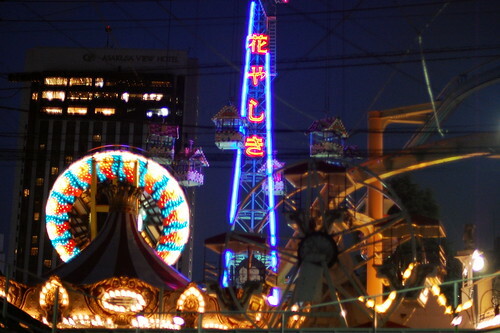 Get close to the fireworks on thrilling rides at an amusement park, Hanayashiki (花やしき). Katagai Festival (片貝祭) in Niigata uses the world’s largest firework – yon shakudama (四尺玉). The tama measures 121 cm across and weighs a hefty 420 kg! When it explodes, a beautiful ring measuring 800 m across splashes across the night sky. Follow us on Instagram, like us on Facebook or read an issue of our magazine!